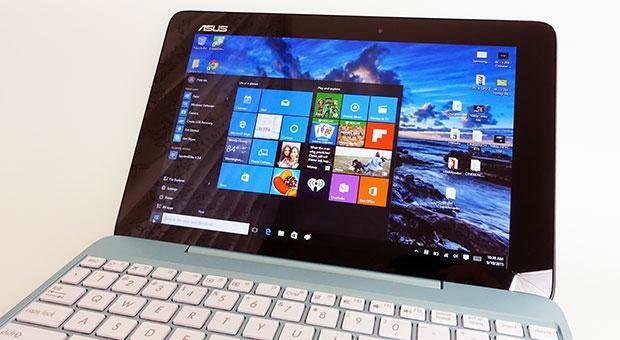 What's the best Linux OS for netbooks? 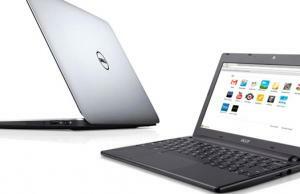 What’s the best Linux OS for netbooks? 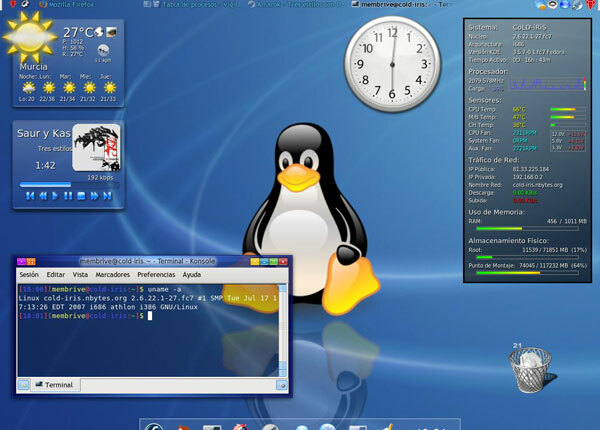 The biggest problem that prevented Linux distributions from having a more successful life on netbooks was the fact that they had a less user friendly interface in comparison to Windows. As netbooks evolved from being a new toy for geeks to a gadget aimed at a very mainstream audience, it was essential for manufacturers to offer a software package that doesn’t require a learning curve (at all, ideally) and that doesn’t require any solid IT know-how. Recent Linux versions offer a much more pleasant user experience, while retaining that open source OS charm and staying, of course, free. There are many versions of Linux you can choose for your netbook, every installment having its perks depending on what you want to use it for. Basically though, if you just need a light OS on a modestly spec-ed netbook in order to browse the web or you want something a little more complex and able to help you in your work, than swaping Windows for a Linux based OS might be a solution. Stay tuned and find out from our rundown of the best Linux OS if any of them can make your day. Ubuntu Netbook Remix (UNR) is your weapon of choice if you’re a beginner or just want a simple, shiny, easy to use Linux distro for your netbook. 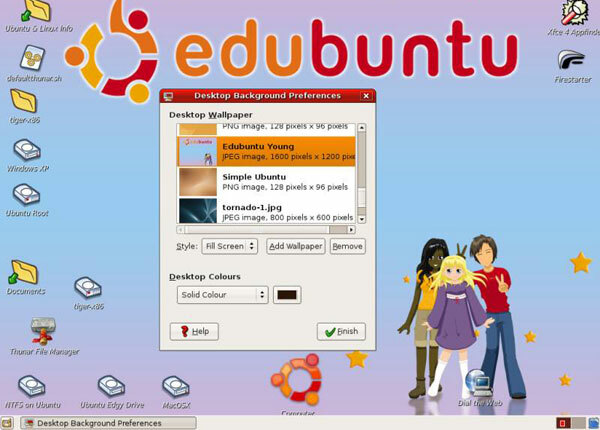 UNR and Ubuntu for desktops have little in common, maybe just a use of colors. UNR has a different interface and places all your apps within a easy to use quick launch interface, in a way more similar to the interface approach you’d find on a tablet. You have a category menu on the left, containing stuff like Games, Accessories etc. and pressing one of the buttons will display the contents of the category in the center of the screen. Icons and large and easy to spot. On the right side of the screen you get an interface that lets you navigate your own files, appropriately placed in folders like Video, Documents, Audio, Pictures etc. As for performance, UNR feels pretty snappy on older machines as well. It can run on a N455 and 1 GB of RAM better than Windows 7 Starter can, that’s for sure. Still, keep in mind that if you need to run Windows apps on your netbook, you’ll have some compatibility issues on your hands. Luckily, most of the software you can run anyway on this type of machine comes with a Linux version, including Open Office, Winamp, browsers, media players and more. This is probably the smallest OS to date, being only 100 MB in size. Also, it’s able to run directly from your computer’s RAM, so it doesn’t have to be installed if you move it around on a USB stick. 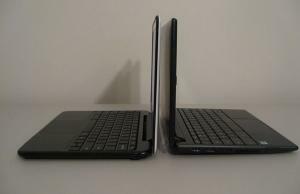 The OS can run on very old computers and the most modest of netbooks without a problem, but you have to keep in mind that the OS doesn’t have too many apps and is quite limited in scope and compatibility. If you’re not quite the average user, Fedora might be the best choice for you. Sponsored by Red Hat, Fedora is a Linux distribution aimed more at developers who want to build apps for the OS and generally contribute to the development of open source software. This doesn’t mean casual users can’t make use of its great security features and overall streamlined experience, but you might need a better machine in order to fully enjoy it. And by that I don’t mean a beast of a netbook (I’m quite sure something like that doesn’t exist), but a dual core Atom N550 or AMD Fusion C-50 should do the trick just fine. Fedora comes with a spin off aimed at the Asian market, named Linpus, which has support for Japanese and Chinese languages. 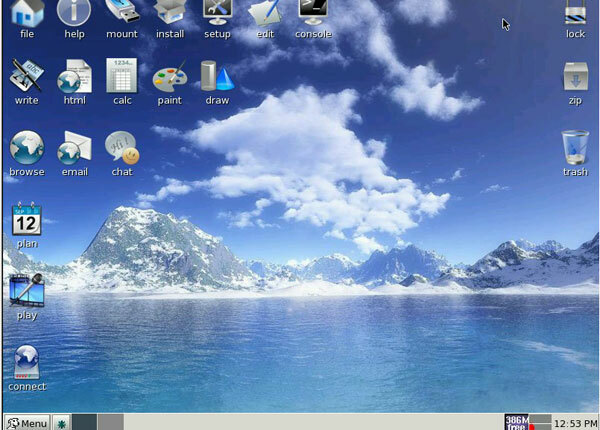 The distro comes with both a Lite version, supposed to run on old PCs or weak netbooks and a fully featured version that offers a more Windows like experience. 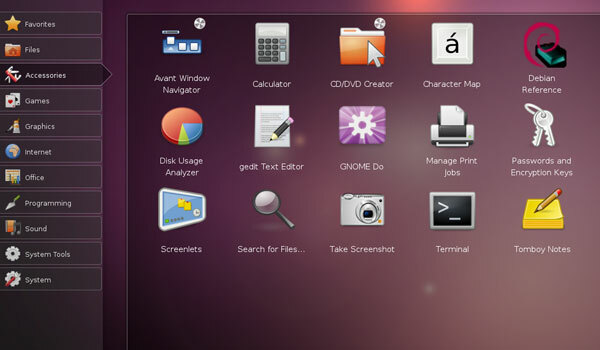 Meego is a Linux distro that blends offline and online usage apparently seamless. Sure, this doesn’t happen all the time, but it’s sure great to have some cloud services available and an ever expanding pool of apps to browse. Meego was initially the love child of Intel and Nokia and was developed not only for netbooks, but also TVs, tablets, desktop computers and other mobile/connected devices. Considering there’s decent backing for this OS (the Linux Foundation), Meego is one of the most polished and solid Linux versions you’ll find out there. There were recent speculations on Intel dropping Meego support, but it seems like the OS is still an ongoing project. Still, there’s a lot to be done in terms of apps, as I could see when testing Meego on the Acer Aspire One D257 Andrei tested here on the site a while ago. Google built Chrome OS using Linux kernel and their own Chrome browser, and they started using it on Chromebooks. 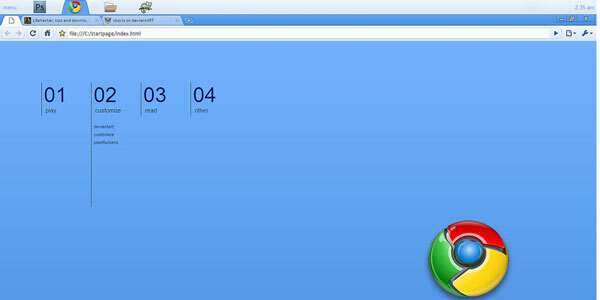 The result is a web based OS that looks like a Chrome browser, with apps launching in tabs. There’s also a rather rudimentary file system, but most of your work will be done within a browser window. The OS comes with support for Google apps like Gmail, Maps and Gtalk (although not flawlessly), while the rest of the apps are available in the dedicated market environment. Chrome OS also uses cloud storage and services, but can’t be installed on any netbook, but only on those packing Google accepted hardware. For now, there are just a couple of Chromebooks out there, one from Samsung and one from Acer, both being associated with a number of issues. 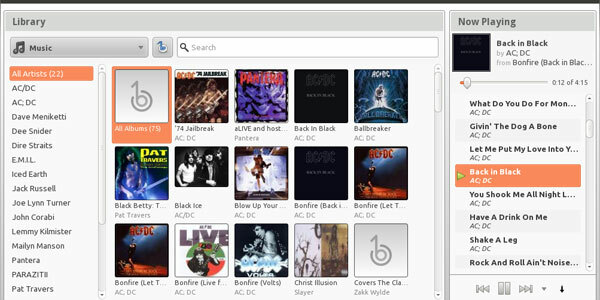 An open version of the software, named Chromium OS, is also available and was shipped on a couple of computers, including the Kogan Agora Chromium Laptop. Linux has come a long way from being a obscure OS for IT geeks and is now widely used by casual users or companies. Also, there are so many versions out there, that you can choose the one that’s better for you or the one that seems the funniest at a glance. You can get a bare bone distro that occupies less space than a HD trailer or you can go for a version like Fedora, which offers a complex and secure experience, close in scope to what Windows can offer. So if you bought a netbook and don’t want to spend extra on Windows or you’re just eager to try something new, give Linux a chance. You might be very happy with your choice and never get back to Windows, or you might hate it and switch back after a couple of days. But there’s no way to know that unless you test it. Intel and Nokia did drop MeeGo for Tizen, but they’re open source projects and thus anyone can continue to work on MeeGo. 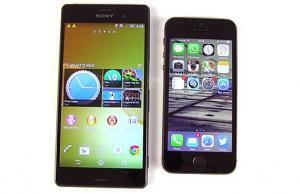 While companies like Asus will continue to support it for the MeeGo products they released. There’s also plenty of other distros to look at. Zorin for example is very similar to Windows. Btw, Puppy Linux is not the smallest distro but of the tiny ones it is one of the most popular. I don’t know if it is particularly netbook friendly, but Linux Mint is an attractive and polished Linux distro based on Ubuntu. And for those who want a stronger Web OS look and feel but are not ready to buy a Google Chromebook from Acer or Samsung to get the Chrome OS experience, there is Joli OS, which is free and can be installed on virtually any laptop built in the past 10 years.